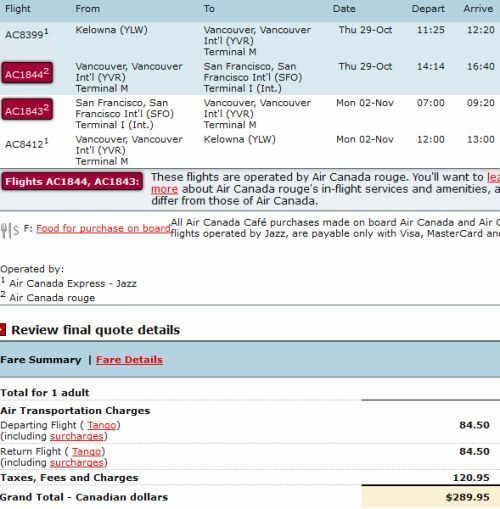 Air Canada has dropped the price of their Kelowna - San Francisco flights down to $289 CAD roundtrip including taxes. 2. Click on the departure date box to bring up the calendar view. Adjust your desired trip length in the bottom left. 3. Select your dates and flights, and then click through to Air Canada's website for booking. 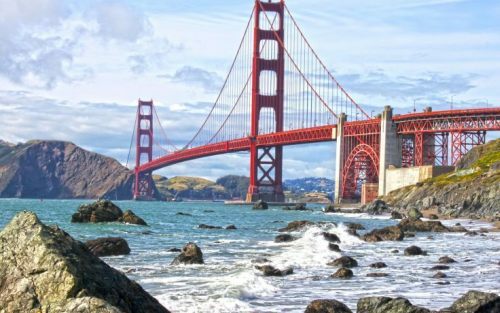 The following AirBNB link will lead you to some great deals on places to stay in San Francisco for under $125 CAD/night for 2 people. kelowna, YLW, flight deals, california, united states, san francisco, sfo, north america or air canada rouge.